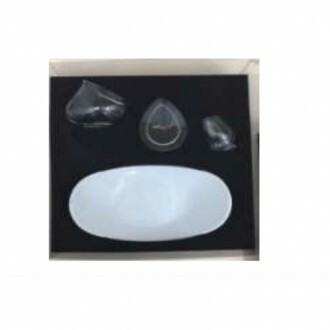 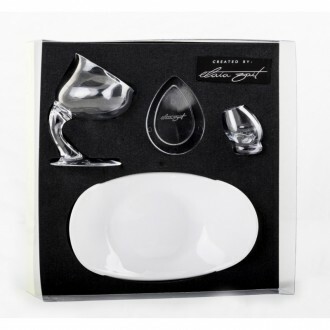 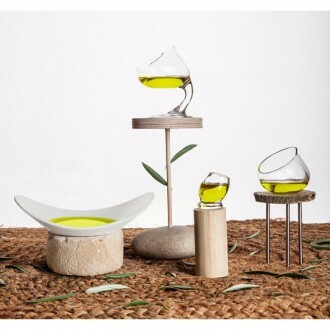 Hedonic tasting glass for tasting olive oil. 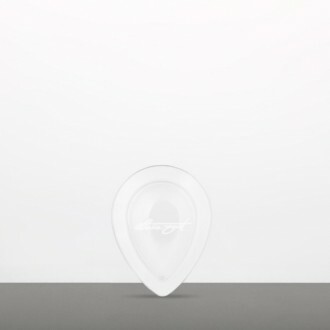 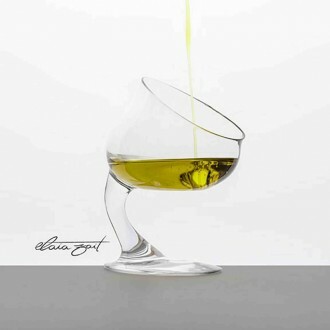 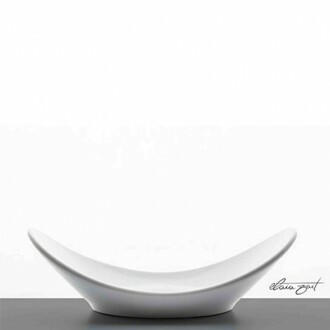 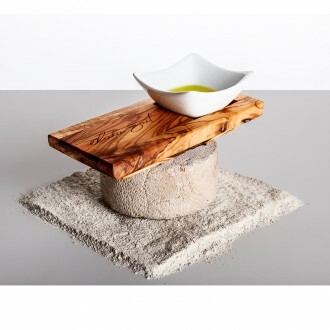 This tasting glass has a design that allows to perceive the olive oil in suspension. 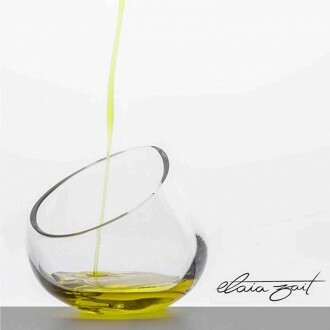 You can embrace the glass with your hand to feel the organoleptic qualities of the extra virgin olive oil. 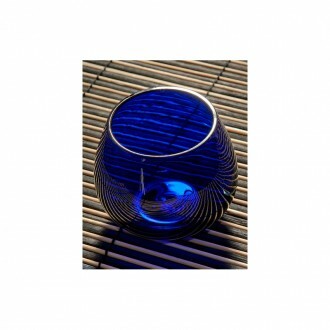 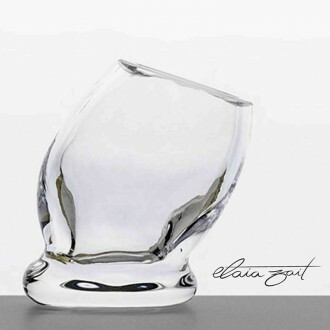 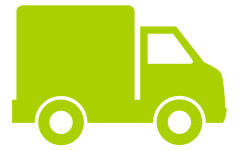 It is designed with resistant glass, with a smooth edge, which also resists temperature variations. 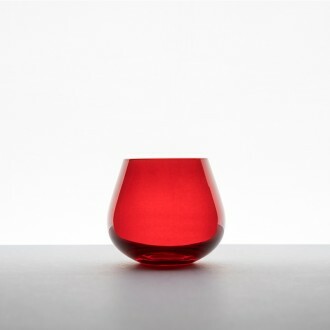 Its transparent color allows you to appreciate the color of this liquid gold. 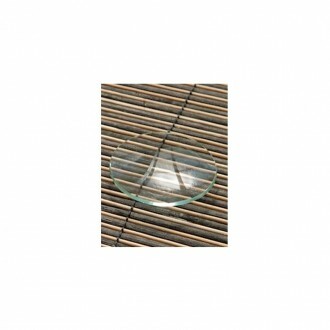 With circular movements you can cover the whole glass, and thus distinguish in a better way the attributes and quality of the aove. 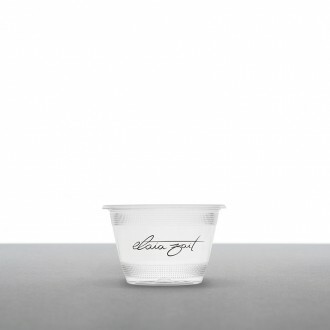 Biodegradable cup for tasting olive oil Elaia Zait.